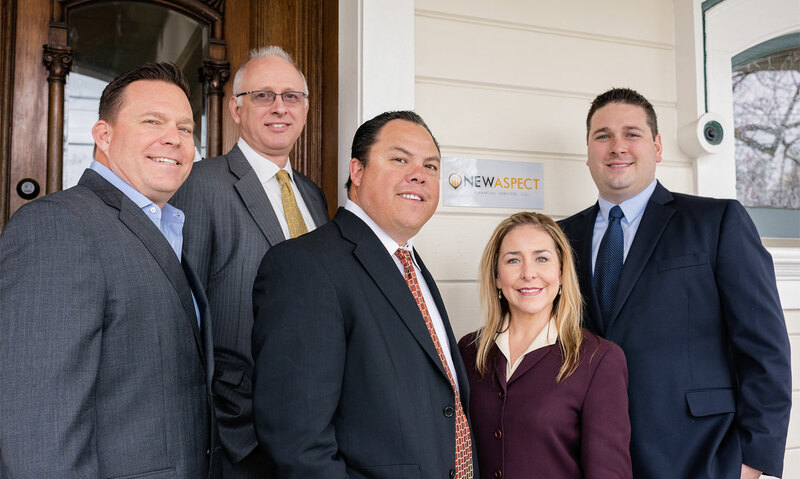 New Aspect Financial Services LLC. is off to a busy start in 2017. We have had two company hosted and sponsored events in January. 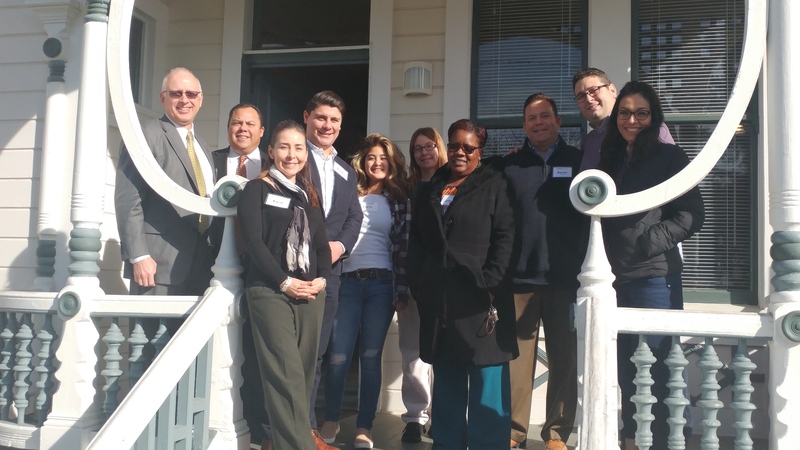 At our offices on Jan 6th we held a Community outreach day for the Aldea Children and Family Services youth program where we hosted a Life Success Workshop. We enjoyed meeting these amazing youth and having the opportunity to teach some basic business and life fundamentals. 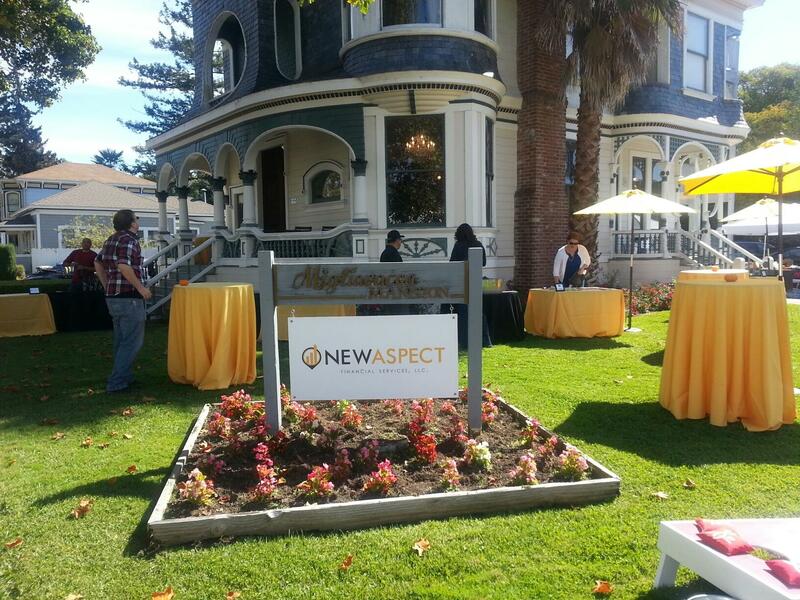 New Aspect Financial Services, LLC, held our 2nd Annual Client Appreciation Event at our Napa Office located in the historical Migliavacca Mansion. Sponsoring companies educated current clients and guests while they enjoyed live music, food and wine. This was a family friendly event with numerous activities for the kids to enjoy. The event was a huge success and we look forward to celebrating our clients again next year! 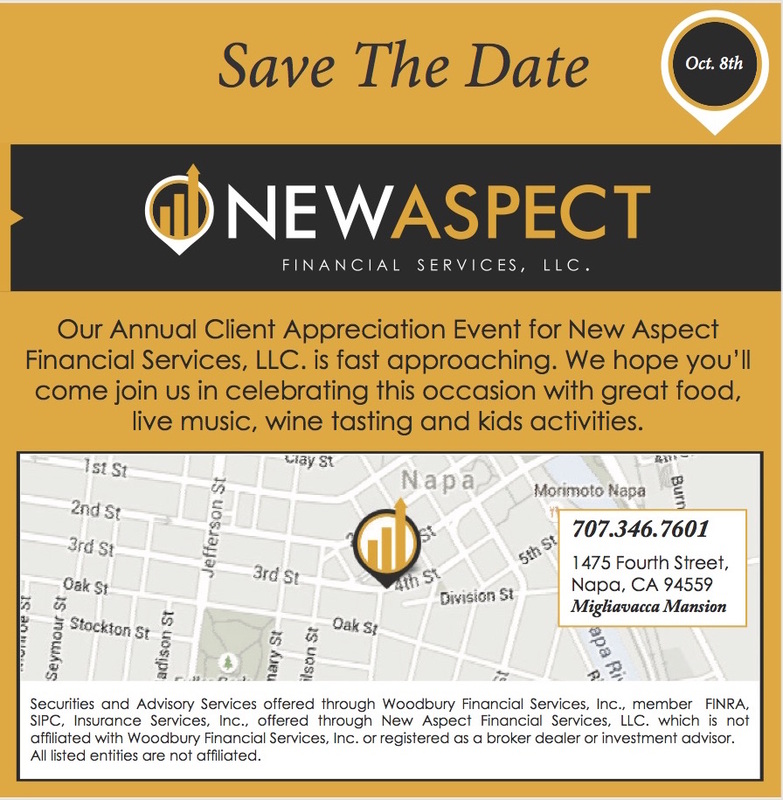 We invite you to the 2nd Annual Client Appreciation Event for New Aspect Financial Services LLC. Please see event details on invite below and we hope to see you there! Save The Date! 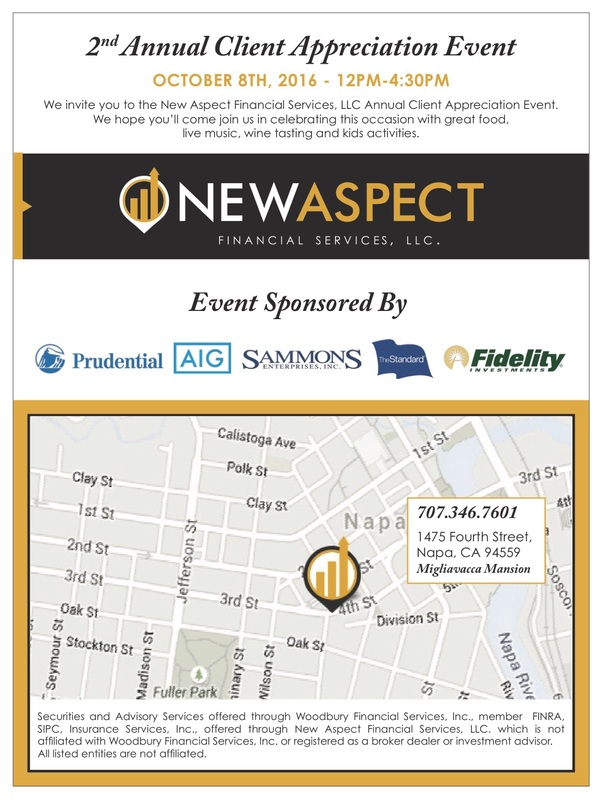 Our Annual Client Appreciation Event is coming up on Oct. 8th. We will have great food, live music, wine tasting, and activities for the kids. We hope to see you here with friends and family to show how much we appreciate you. 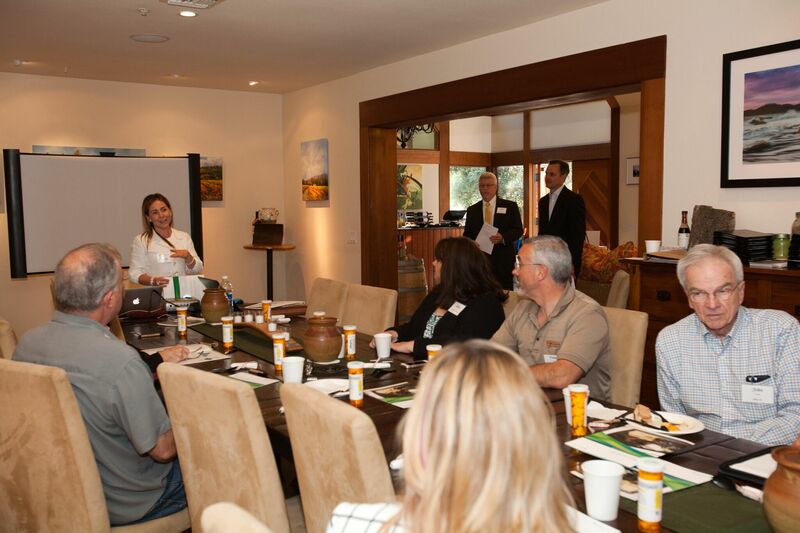 On May 18th Karin Alvarado, along with guest speakers Larry Crocker and Al Chingren, held an seminar event at Rutherford Ranch Winery on Engineering A Successful Retirement Plan Experience. 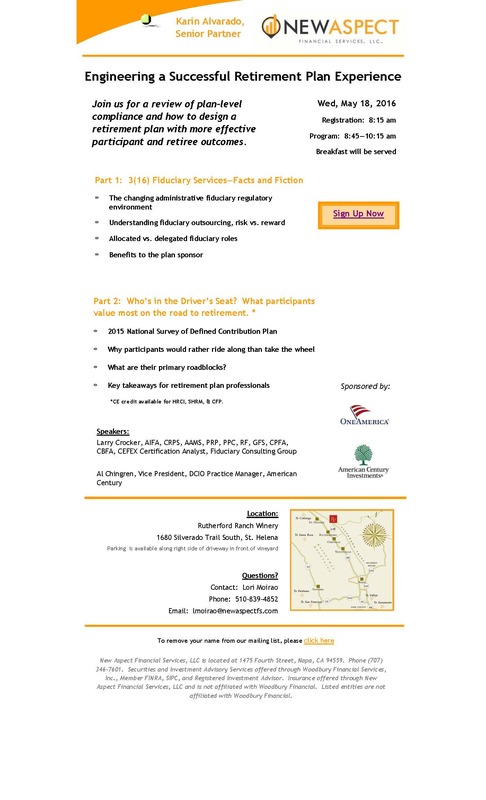 This seminar provided information on plan-level compliance and how you can design a retirement plan with more effective participant and retiree outcomes. 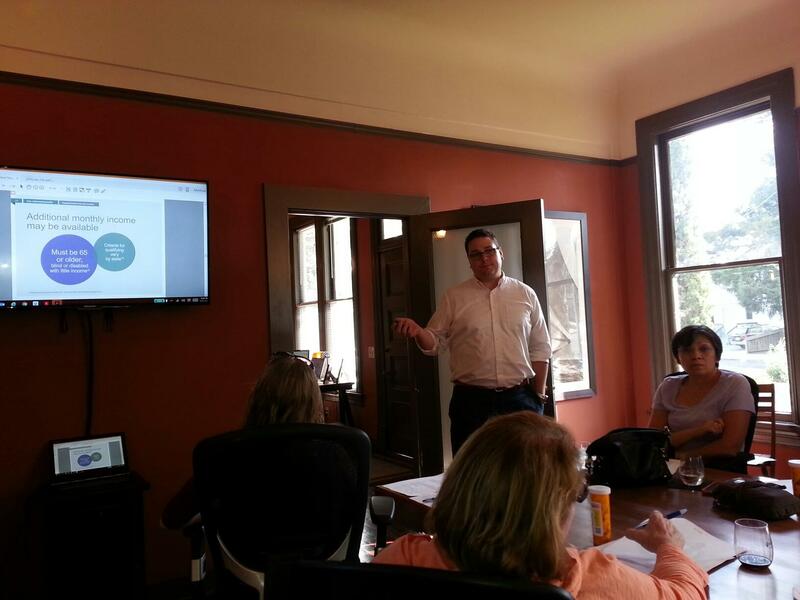 It also provided educational information on the changing Fiduciary Regulatory Rules. Thank You to all who attended the event. 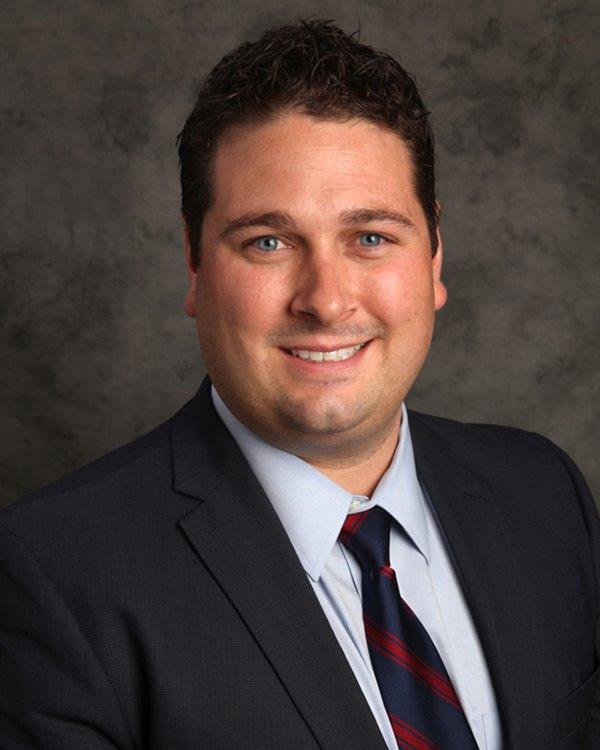 Join Matthew Mullowney, Trevor Rose an Estate Planning Attorney, and Partick Rinehart a Local CPA for an Educational and Informational Seminar at the local Napa Valley Public Library on May 14th. 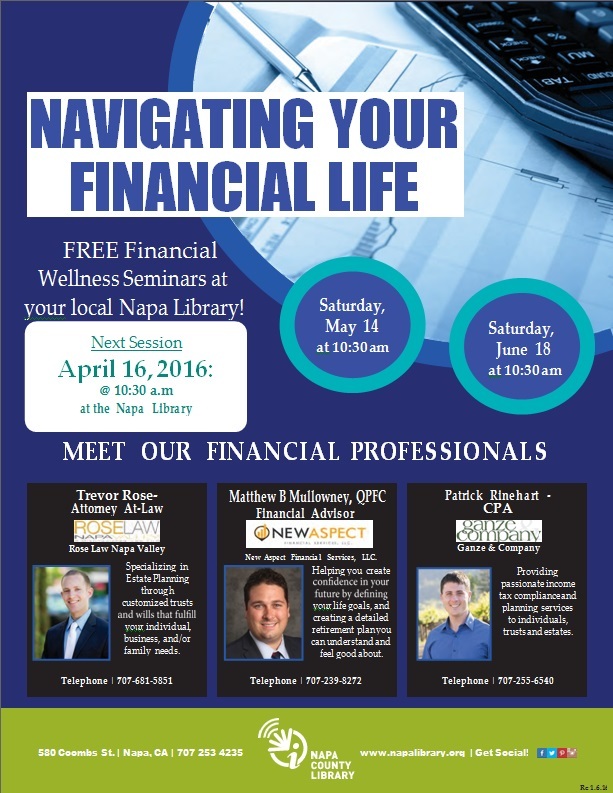 Come and gather information regarding your retirement planning and how to navigate the broad financial landscape. Matthew also does these seminars at the American Canyon Public Library.